We opted to go for a two seater leather club style sofa. 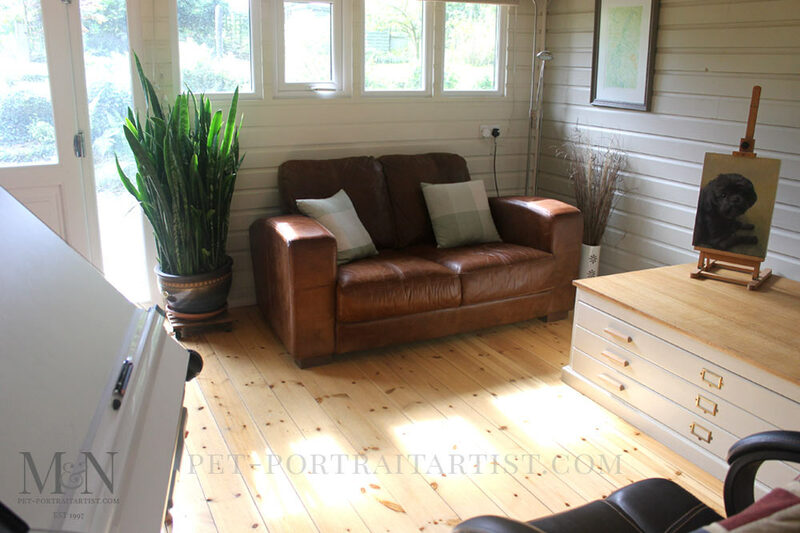 Perfect for muddy dog paws and the colour and feel blends seamlessly with our studio floor and plan chest. The Mother-In-Laws tongue has done really well down here this summer, we bought it down from the cottage during the build and it flowered in the studio this year so I think it will end up staying. It probably needs a bigger pot soon..if anyone would like any cuttings they know where to come! Over the last few weeks I have been getting on with website updates in my spare time. 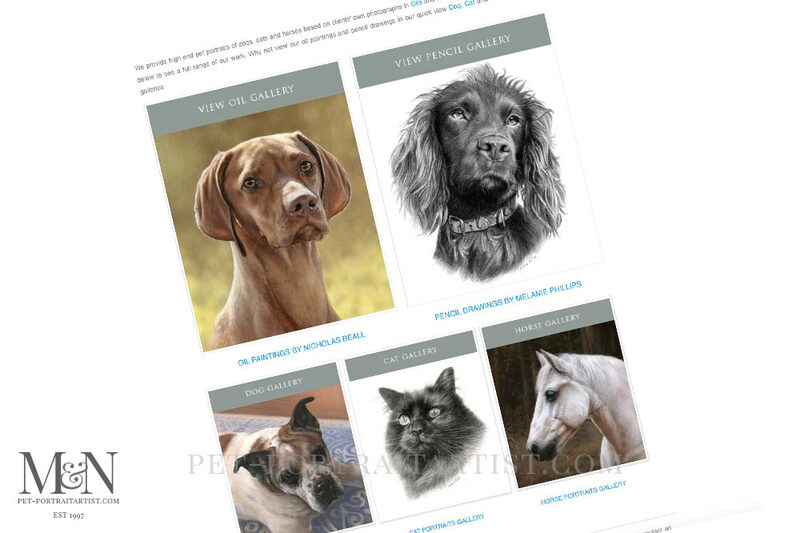 Our poor websites have been sorely neglected this year and so I have started to update our main pet portraits site. It is now complete! I have added three new galleries. One for dog portraits another for cat portraits and finally one for horse portraits. I have also renewed the oil portraits gallery along with adding lots more portraits to my pencil portraits gallery. Each gallery has unique paintings and drawings in, no two galleries have the same artwork! I have also laid everything out slightly differently and am really pleased with the results. I also updated our commissions info page. It was quite a bit of work but well worth it. I just need a little more spare time to start updating our other sites now…. !